For the past two elections, Germany’s center-left has tried to stymie chancellor Angela Merkel with two jowly, doughy figures compromised by high service in Merkel-led ‘grand coalition’ governments. And for the past two elections, Germany’s center-left Sozialdemokratische Partei Deutschlands (SPD, Social Democratic Party) has won a smaller share of the vote than at any other time in postwar German history. For months, it appeared that the Social Democrats were set to sleepwalk into making the same error in 2017. 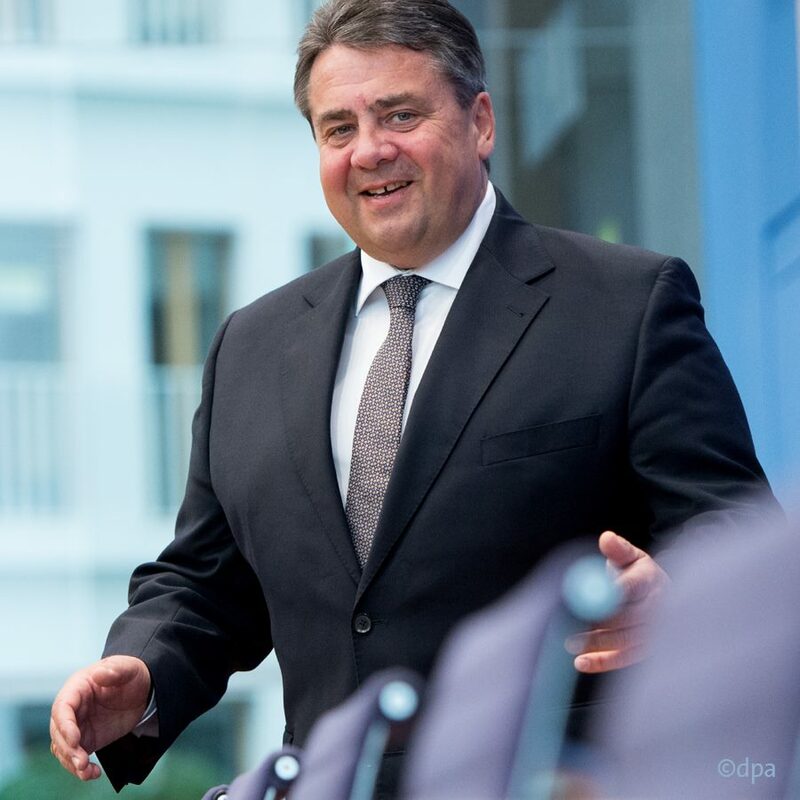 With the federal election formally set for September 24, it seemed that the SPD would choose as its candidate for chancellor Sigmar Gabriel, the economy minister who serves as vice chancellor in the current Große Koalition and who has served as the party’s official leader since 2009. Though polls showed Merkel’s center-right Christlich Demokratische Union (CDU, Christian Democratic Union), in power since 2005, losing some ground to the eurosceptic and anti-immigrant Alternative für Deutschland (AfD, Alternative for Germany), they still maintained a consistent lead of anywhere from 11% to 17% against the Social Democrats. With Gabriel at the helm, the SPD seemed content to lose another election to Merkel, perhaps willing to suffer as the junior partner in her fourth-term governing coalition or otherwise in complete opposition. So it was a surprise to see Gabriel on Tuesday bow out of competition to lead his party into the 2017 elections and instead endorse Martin Schulz, who stepped down as the president of the European Parliament just weeks ago to return to German politics. By every metric of modern German politics, it was ‘Gabriel’s turn,’ and because German political parties do not typically conduct primary elections to choose their chancellor candidates, there’s no reason to believe that Gabriel had anything to fear from Schulz, a longtime friend and ally, or from any other more charismatic opponent. That makes Gabriel’s decision to step aside all the more selfless for Germany’s long-dormant left. Schulz, it must be said, is just as jowly as Gabriel or the SPD’s prior two candidates — former foreign minister Frank-Walter Steinmeier in 2009 and former finance minister Peer Steinbrück in 2013. The 61-year-old Schulz, who has served as an MEP since 1994, is hardly the portrait of a charismatic all-star à la Barack Obama — or even Gerhard Schröder. But he’s been a consistent voice against European-wide austerity from his perch as European Parliament president since 2012, and as the head (or de facto head) of the Socialist/Democrat wing of the European Parliament since 2004. From his perch as the EU parliamentary president, Schulz has carved out a role that’s allowed him to champion anti-austerity and pro-growth ideals while building the diplomatic portfolio that would inspire jealousy in the hearts of most European leaders. Schulz, for example, made a visit in 2015 to Iranian president Hassan Rowhani as a follow-up diplomatic mission to the successful completion of the Joint Comprehensive Plan of Action. But in an era of world politics focused on novelty and authenticity, Schulz brings a measured amount of both, perhaps befitting a German political tradition that still prizes restraint and moderation over flashiness. His favorability ratings are higher than Gabriel’s, on par with Merkel’s, giving the SPD an opportunity to shake up the campaign. There are plenty of folks, both inside and outside Germany, who would have been happy to mock Gabriel through an ignominious loss this autumn. Those same folks, however, will give Schulz a serious look — if for no other reason than that his ascension as the SPD chancellor-candidate amounts to a real divide between the two traditional German political parties for the first time since 2005. On the one hand, more people than ever on both sides of the Atlantic look to Merkel, in the era of Donald Trump, as the real ‘leader of the free world.’ But with Trump’s ascendancy and the rising global trend toward nationalism, and with Brexit negotiations, the aftershocks of a nearly decade-long debt and economic eurozone crisis, a new and intensifying refugee crisis and the security threat of a resurgent Russia (and a wobbly NATO), there’s plenty of raw material with which Schulz could work. For starters, Schulz is just pugnacious enough to argue credibly that he can stand up to Trump. Remember that the last time that the Social Democrats won a German election, then-chancellor Schröder showed no hesitation to play the anti-Americanism card. Schulz can play both Trump-style champion of German values and anti-Trump defender of liberal democracy in the same election, and that makes him a far more dangerous threat to Merkel than anyone on Germany’s nascent hard right. 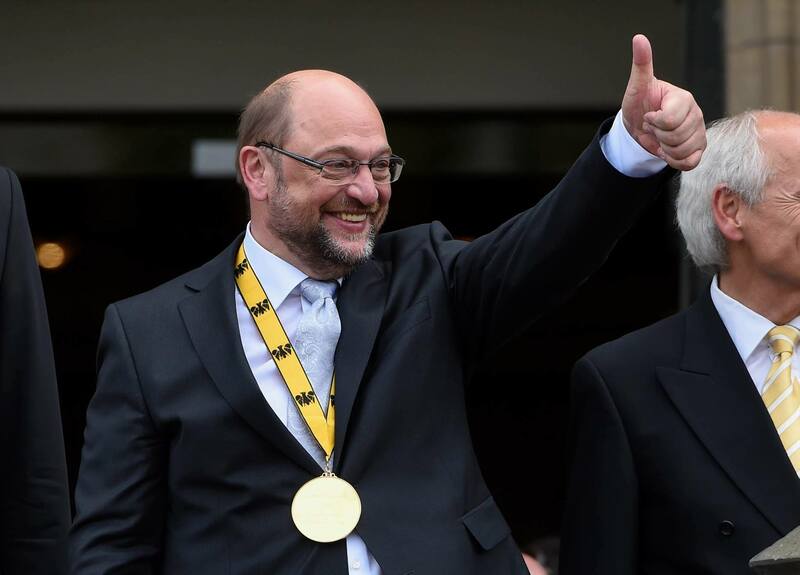 Moreover, Schulz’s background is more compelling than his placid Strasbourg career might imply. A footballer whose career was cut short by injury, Schulz succumbed to alcoholism and depression in his early 20s before finding a new career as a bookseller, then a mayor in his home state of North Rhine-Westphalia, then in his nearly quarter-century of service in European politics. In an era when newly inaugurated US president Donald Trump and Russian president Vladimir Putin openly disparage the European Union’s mission, Germany could barely send a more contrasting signal to the world (and to a demoralized Europe) than by electing as its new leader someone who has devoted decades of his life to the workings of the European project. For his efforts, Gabriel will likely replace Steinmeier as foreign minister after Steinmeier becomes Germany’s (mostly ceremonial) president in February, and he would certainly continue to play an important role if Schulz leads the Social Democrats to an improbable victory in September. Schulz’s first test as SPD leader will come in May, when state elections in his home state of North Rhine-Westphalia will take place. Social Democratic minister-president Hannelore Kraft is seeking reelection and, if she wins, could become a key figure if Schulz wins federal elections later this year. For years, Kraft, who has served as the minister-president of Germany’s most populous state since 2010, has been hailed as the perfect anti-austerity foil to Merkel, though Kraft has refused to make the leap from state to national politics. Schulz, who comes from the more collegial world of Brussels alliances, might also reconsider the SPD’s own opportunities. For years, the SPD has refused to ally with Die Linke (The Left), a party of hard-left figures uniting former east German communists and west German progressives who left the SPD in opposition to Schröder-era labor reforms. Even today, it’s worth noting, the SPD could form a narrow majority tomorrow in the Bundestag if only it joined forces with its longtime partners, Die Grünen (The Greens), and with the Left Party. Increasingly, such ‘red-red-green’ coalitions have become more common at the state level, including today in Berlin, the national capital. In the state of Thuringia, the Left’s Bodo Ramelow has governed as head of a red-red-green coalition since 2014.